Home » Missions » CCHF May Conference! in May at the annual Christian Community Health Fellowship (CCHF) “Reconciliation” Conference in Oklahoma City! 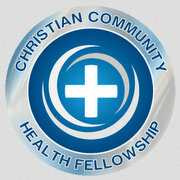 CCHF is “a community of Christian health professionals committed to living out the gospel through healthcare among the poor.” A group from Rochester will be traveling together to share a weekend of inspiring presentations and fellowship with other believers in health care from around the country. Student and resident-in-training scholarships and volunteer subsidies are available. Please open and read the attached flyer or visit CCHF online at www.cchf.org/conference for more details.